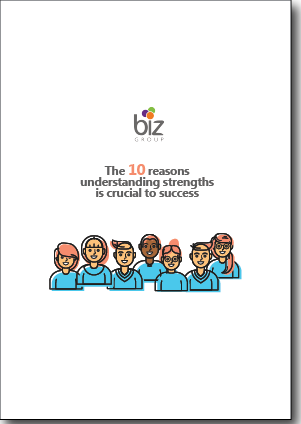 Did you know that people who use their strengths on a daily basis are more engaged, perform better and get results for their organisation and themselves: 6x higher engagement, 36% higher performance, 43% higher productivity and 83% more likely to be part of a high performing team? Our Strengths-based Transformations Consultant, Vicki Haverson shares the benefits that come from discovering and applying your strengths. Download our article today to find out how you can explore and leverage your strenghts.